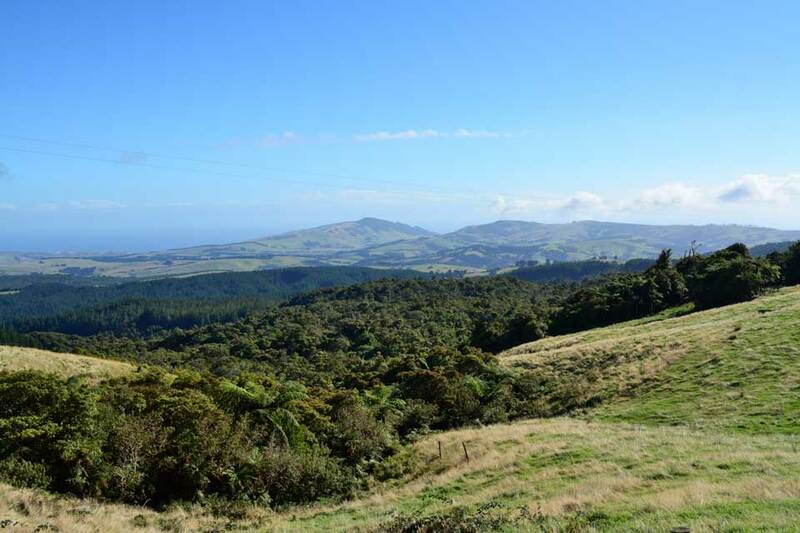 You are thinking of coming to New Zealand attracted by the amazing landscapes, never-ending beaches, blue skies, soaring mountains, and green forests. You like nature and seek respite from the crowded city. You sometimes wonder what simple life is like, living off the grid, maybe? You want to do something meaningful with your hands and see the result of your work. You should come and join us! 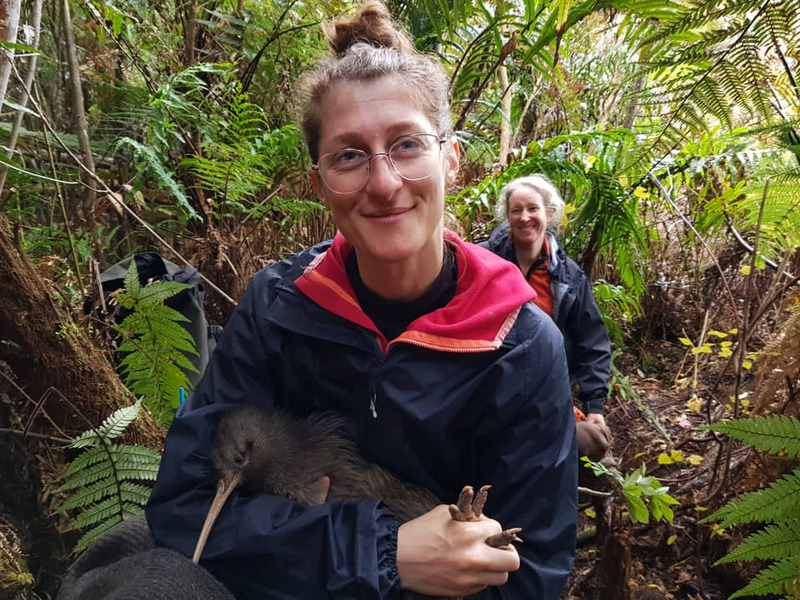 The Pupu Rangi Nature Sanctuary welcomes you to this place of learning: about the forest and its creatures, about conservation, and most importantly about yourself. You will be challenged on many fronts: living off-the-grid, working in a dense jungle-like rainforest, having to change your perceptions about the things that we take for granted. You will also experience something that is rare these days: the expanse of an un-explored forest which you and your fellow volunteers will help preserve. If you want to joint the team of volunteers, no prior experience is required, you just need the courage to face the rain, mud, wind, and the physical work outdoors. Imagine a jungle-like forest where no one has walked through in the last forty years. Nature has created a living form in which trees soar to the sky and the ferns are taller than people. 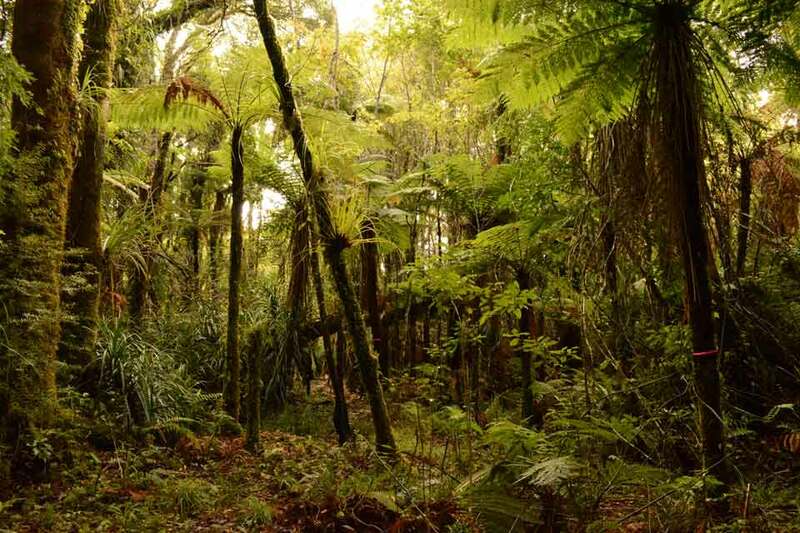 Deep inside, the ground is covered with a wet carpet of moss, the air is moist and fragrant, and camouflaged among the hundreds of shades of green live a myriad of birds, kiwis and kauri snails. Clamber on waterfalls, identify ancient trees, marvel at the countless types of ferns, look for eels and glow worms at night, and sleep in the middle of the forest listening to the haunting call of the kiwi. This is a place where you will feel close to nature in a way that you have never imagined. This is the place where you will be the first person in a generation to explore, discover, make note of what you see, and above all, learn to be in the middle of the nowhere without feeling lost. If you want to learn about nature and about yourself, become an explorer! No prior experience is required, just bring your sense of adventure and an open mind. Imagine levitating over the forest, resting on your back and contemplating the blue sky contrasting against the lush green leaves of the trees surrounding you. We invite you to experience a different side of the Pupu Rangi Nature Sanctuary by staying a night or two in one of our tree tents. Set-up in secluded clearings, our comfortable tree tents bring you as close to nature as you can get. Nestled in the trees, you can defy gravity and examine closer the hundreds of varieties of moss, the stick insects, and the busy birds. In the evening, while listening for the haunting calls of the kiwi, fall asleep to the sounds of the forest. Wake up in the midst of the dawn chorus and have the whole day ahead of you to explore the trails in our jungle-like forest, to participate in one of the conservation activities, to visit the nearby Kauri Coast attractions, or to just pick up a book and spend a relaxing time rocking gently in the breeze. If you are ready for a bit of fun and adventure, stay with us! Make a reservation and we will welcome you to our world. At the beginning of the internship, each intern will work with their mentor to complete a development plan outlining the skills that they would like to aquire or to improve on. Based on the development plan, a schedule will be agreed on and followed for the rest of the internship. Interns participate in the Volunteer program and in addition receive personalized training and mentoring according to their goals. We specialize in the development of leadership and team building skills however, we have a rich experience in many areas of personal development. In addition, interns will learn about the different options available for room management, reservations systems, and sustainability practices. Hospitality interns have the opportunity to participate in the Volunteer program, thus gaining exposure to all the conservation activities that we are involved in. 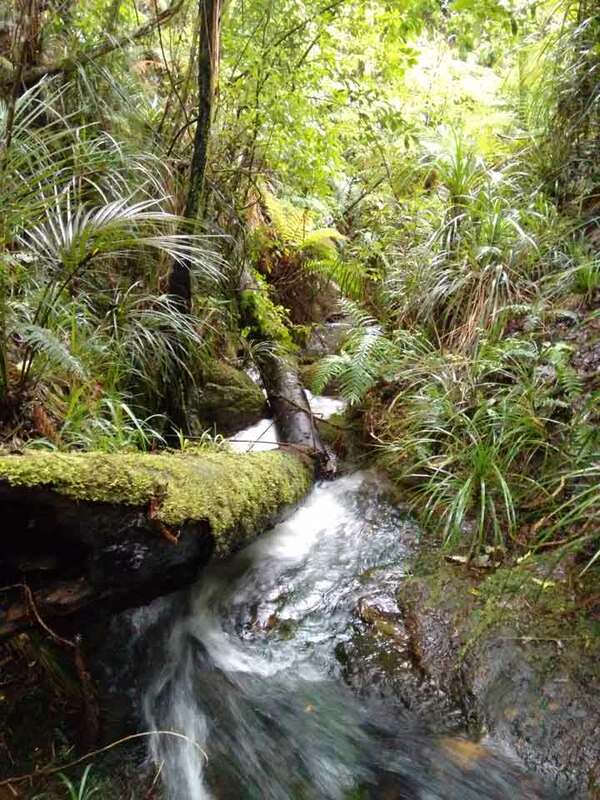 Our organization is dedicated to the protection of the native New Zealand biodiversity on the Kauri Coast in the north of New Zealand. We offer a number of programs that focus on environmental conservation, sustainable living, and reconnecting with nature in its purest form. Create a closer bond with nature away from "civilization"
Spend a few weeks learning about the forest and about the ways to protect it. Spend a week in our sanctuary discovering its wonders. 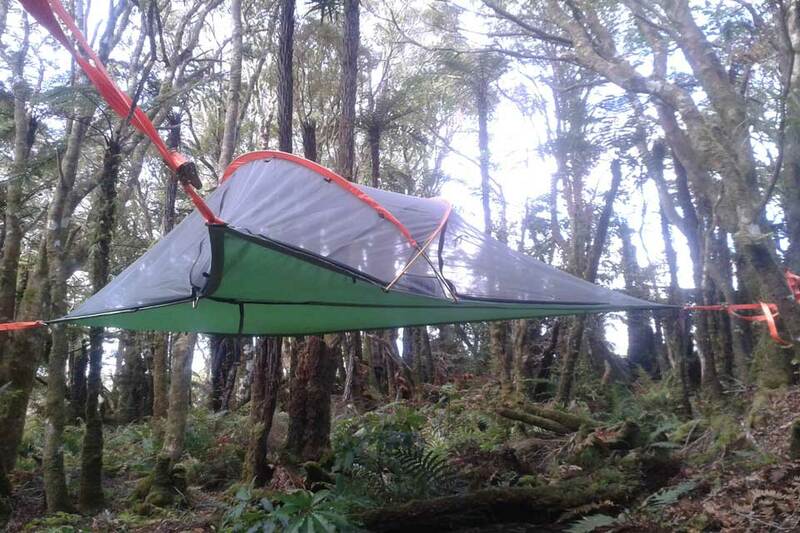 Spend a night in a suspended tent falling asleep to the sounds of the forest. Sign up for a longer term and develop leadership and organizational skills. 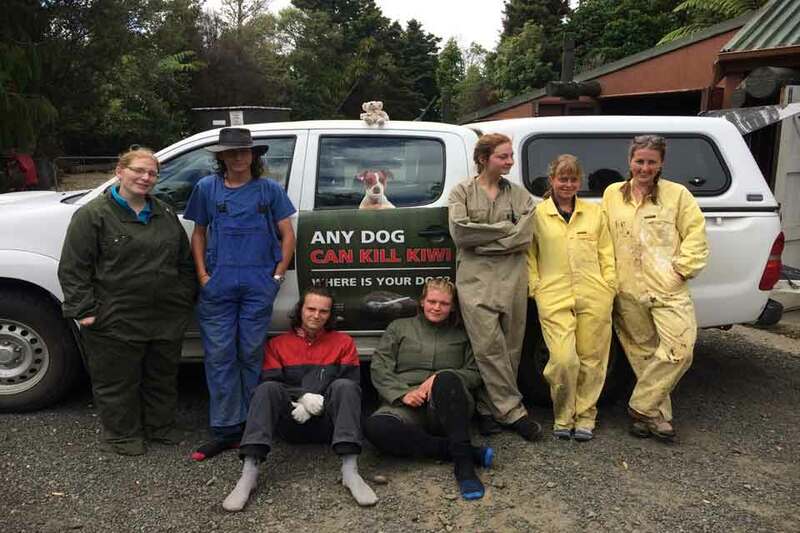 "Volunteering at the Pupu Rangi Sanctuary has been one of the best experiences of my life!" 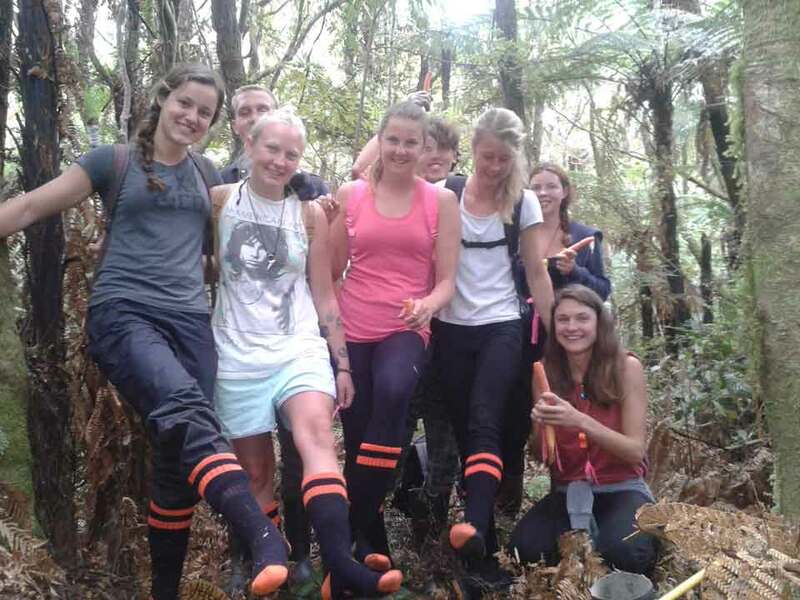 "It was amazing to stay at the Pupu Rangi Sanctuary: a different way to live, eco and super friendly, a place where you can discover the wildlife and the beautiful landscape of New Zealand." "Who needs photos? You have all the experiences in your heart. Forever!" If you live far, far away and would like to support our efforts, please consider making a contribution to help us protect the forest and the birds.